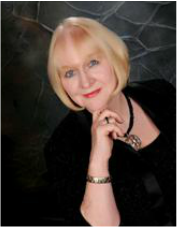 Elaine Meece writes romantic suspense novels. She is an active member of Romance Writers of America, River City Romance Writers, Music City Romance Writers, and Malice of Memphis. She has been a finalist and won many RWA chapter contests for best romantic suspense. She resides in Bartlett, Tennessee with her husband, Geoffrey. Elaine is a former elementary school teacher. She is a graduate of the University of Memphis. Besides writing, she loves to hike and go inner tubing on the Current River in Missouri. She is a member of the Memphis Scottish Society and Bartlett United Methodist Church, and she also sings with the Master Singers Chorale, who performs with Memphis Symphony Orchestra. She has eight published romantic suspense novels available on Amazon. She also has two ghost stories in the anthology, Bluff City Ghost Stories.